One of dissertation chapters of Kevin Welzel (former PhD student in Choe Laboratory) is now officially published. Check out following news article to learn more about the research. 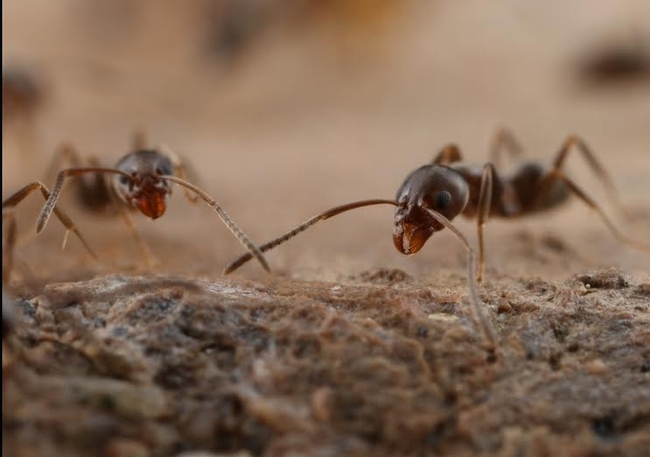 RIVERSIDE, Calif. (www.ucr.edu) — From their native home on the banks of South America's Paraná River, Argentine ants have conquered six continents and many oceanic islands. 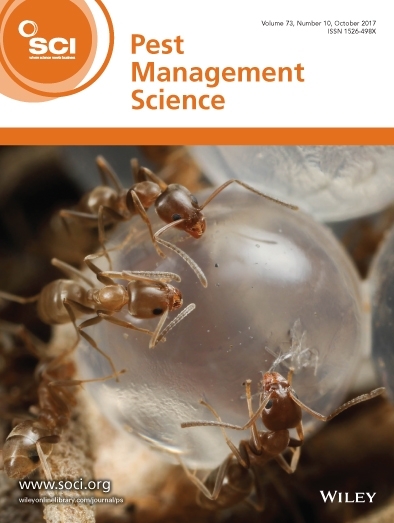 Their success is explained by several factors: they have more than one queen per colony, making them difficult to eradicate, and they adapt to changes in their environments by living transiently rather than building permanent nests. To continue read the full article, click here. 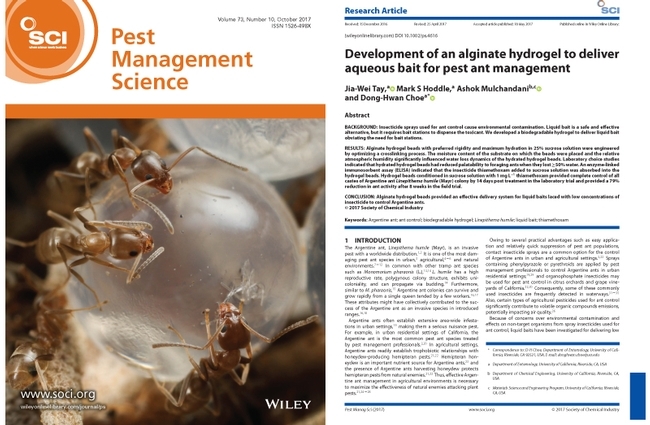 Our research on the development of biodegradable hydrogel for delivering liquid baits to control Argentine ant was recently published in Pest Management Science. Also, the journal chose the image from our research, showing Argentine ants feeding on the hydrogel bait, as the cover image for their October 2017 issue. 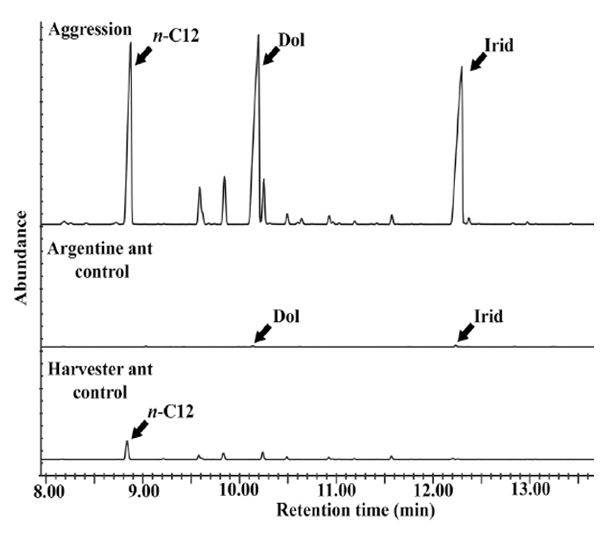 Our research on "pheromone-assisted baiting for Argentine ants" is highlighted on Entomology Today, a news blog maintained by Entomological Society of America. The study is published in online version of Journal of Economic Entomology on February 24, 2016. Mr. Kevin Welzel, a PhD student in Choe laboratory, is a leading author for this paper. 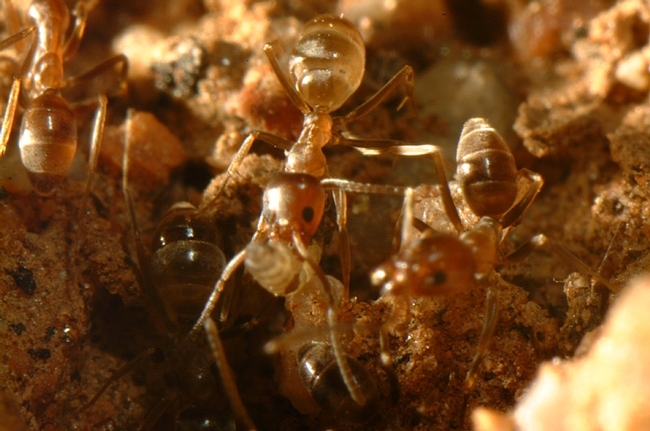 An Argentine ant, Linepithema humile. Photo by Dong-Hwan Choe. Argentine ants have been marching across the United States for the past few decades, despite the best pest control efforts. However, the authors of a new study published in the Journal of Economic Entomology may have found a better, more environmentally friendly way to stop the procession. 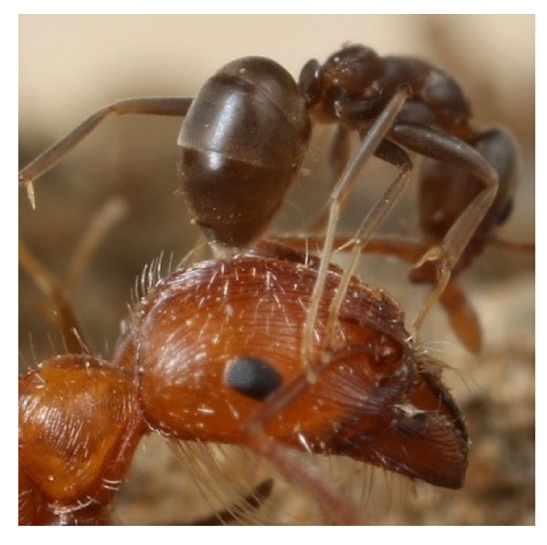 Our Argentine ant research is mentioned in a recent news article written by UC Newsroom. To see the full article, click the link.